!!!UPDATE!!! THE Winner Has Been Chosen! 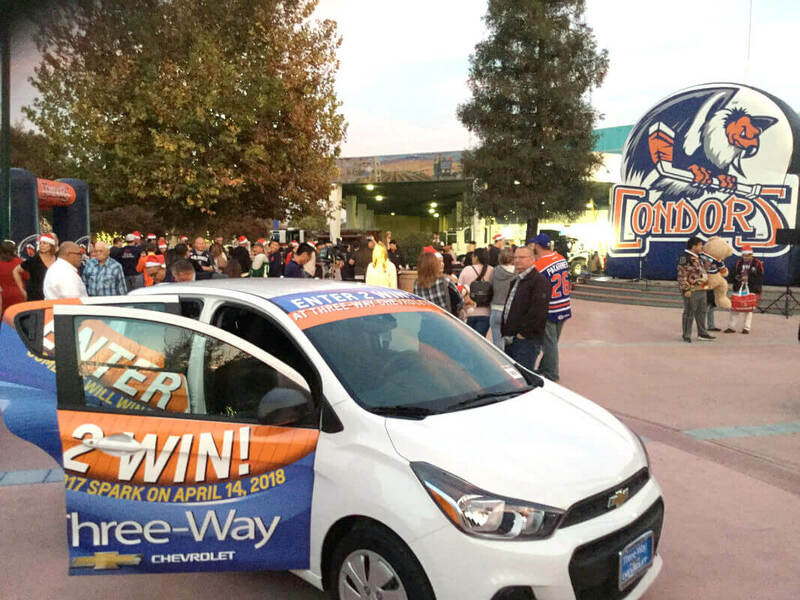 Three-Way Chevrolet & Cadillac is proud to be a multi-year sponsor of the Bakersfield Condors Hockey Team! Three-Way has long supported the club and the community it brings together. 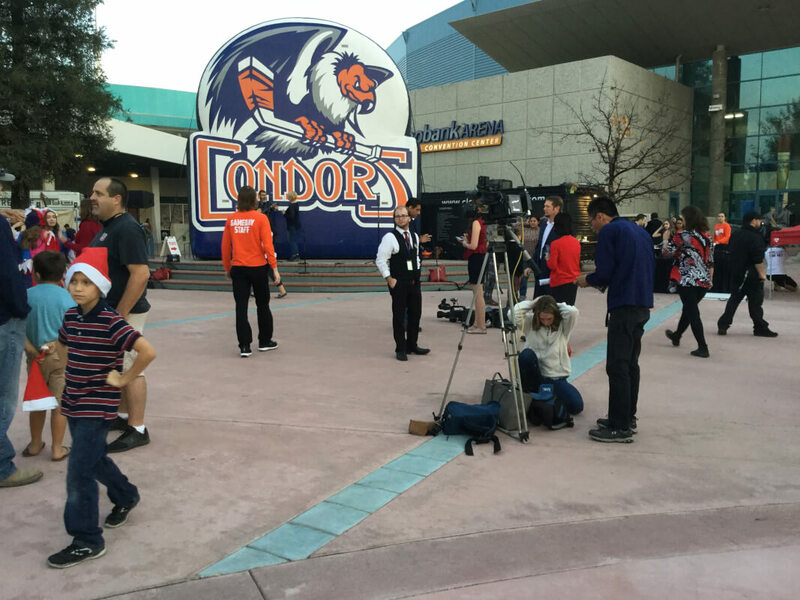 This year we have added a couple new exciting elements to our partnership with the Condors. 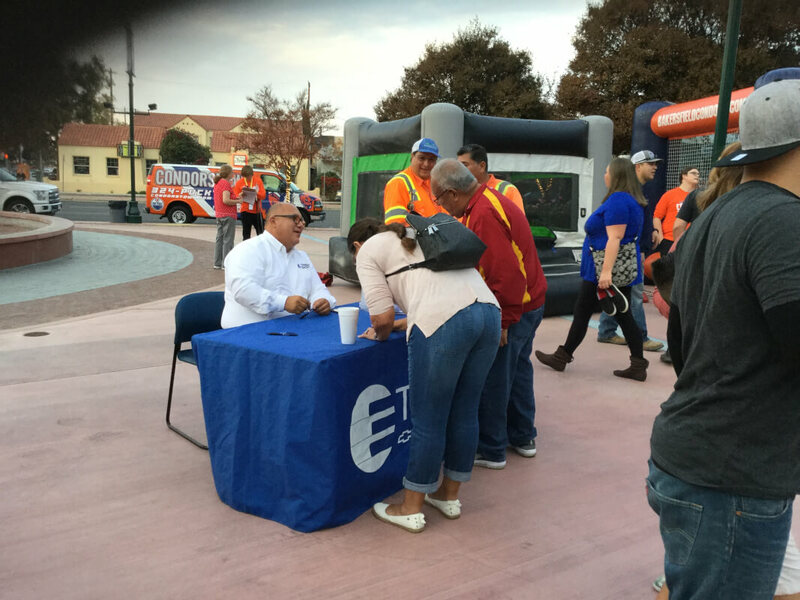 Each Saturday home game will have a Three-Way Chevrolet Party in the Plaza pre-game gathering. Live music, food, games, prizes, and more! Be sure to check the Condor's schedule at http://www.bakersfieldcondors.com/schedule. At the last home game, on April 14th, someone WILL win a brand new car! That's right, anyone can enter to win a 2017 Chevy Spark. 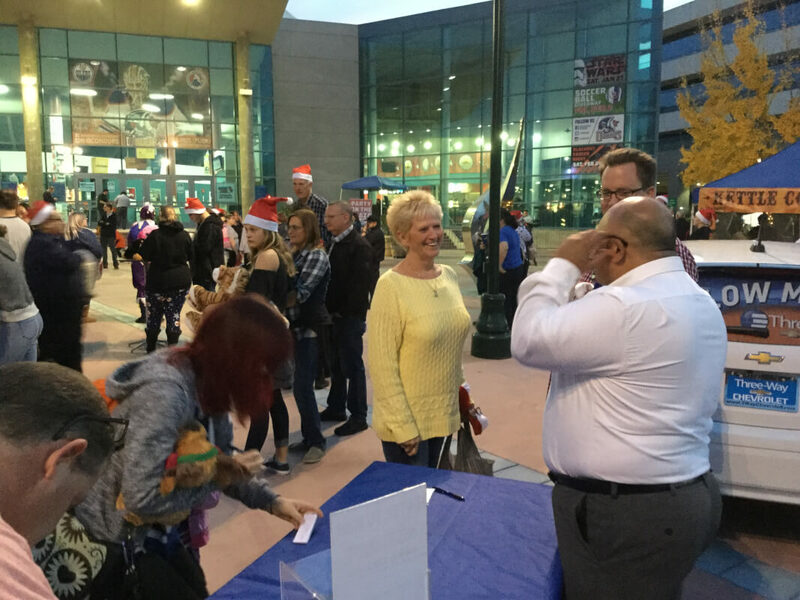 Visit us at the dealership or at a Condors pre-game Party in the Plaza to fill out an entry form! Entry deadline is Sunday, April 8, 2018.